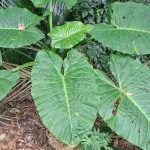 Alocasias – You can buy plants online by simply clicking “Add” under the photos below and then proceed to the checkout when ready. Alocasias are ideally suited to landscaped pools, private nursery areas, interesting landscaping ideas, alternate garden ideas, unique garden designs and some rock gardens. Alocasia is a genus of broad-leaved rhizomatous or tuberous perennials from the family Araceae. There are more than 75 species native to tropical and subtropical Asia and Eastern Australia. They are widely cultivated elsewhere.